The tents are up! The alpacas are ready! 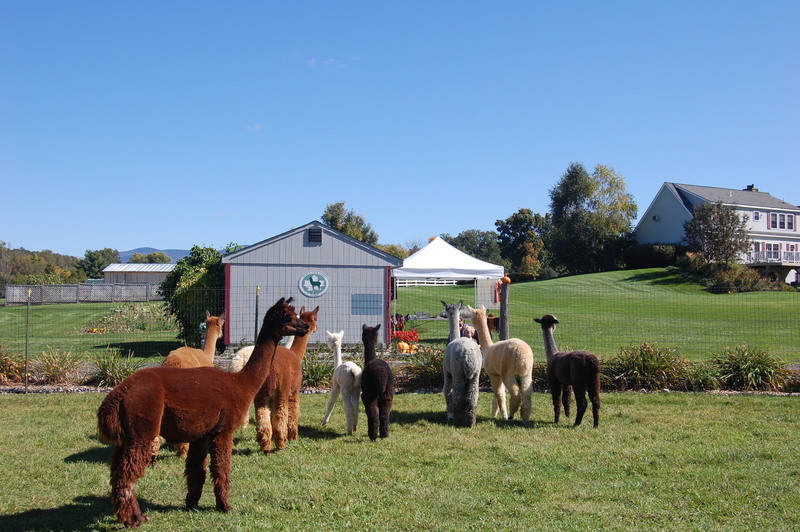 Maple View Farm Alpacas will host its 12th annual holiday open house on November 30 and December 1. Guests are invited to learn about alpacas, raised for breeding as well as their luxurious fiber. Visit the fiber mill and see demonstrations. Then browse the farm store for great holiday gifts made from luxurious alpaca. From US Rte. 7, north of Brandon, turn west onto Arnold District Rd. Continue 1.1 miles, then left onto Adams Rd. House is at the end of the road; barns are behind the house and not visible from driveway.